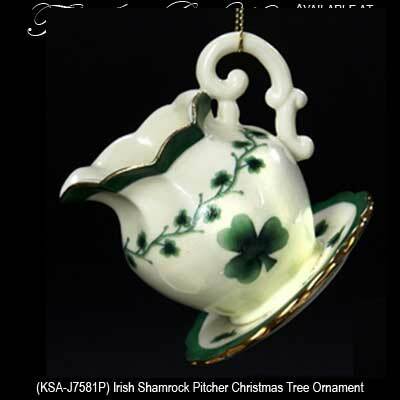 Irish Christmas - Irish Shamrock Pitcher Christmas Tree Ornament Decoration. Made of Porcelain, 2 1/2” Tall x 2 1/2" Wide, Gift Boxed. From Kurt S. Adler.